Sometimes, the recipe we’ve been perfecting or are trying for the first time doesn’t quite turn out the way we expected it to. Which is really just a tender way of saying it was a big, fat FAIL. But never fear, because half the fun of cooking is doing, failing, then learning from your mistakes and trying it all over again! 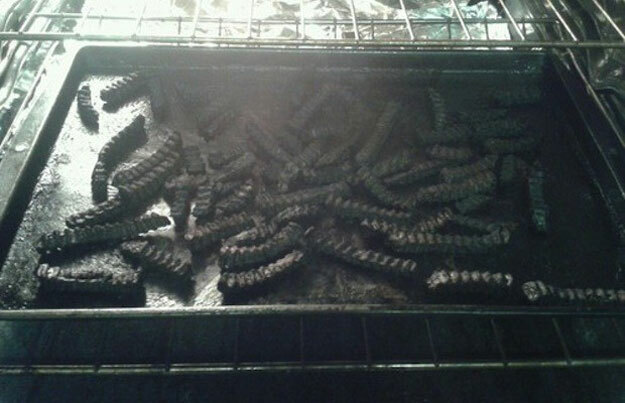 To remind you that cooking fails are inevitable, we’ve rounded up some hilariously awesome cooking fails that will make you laugh, cringe and itch to get back in that kitchen! 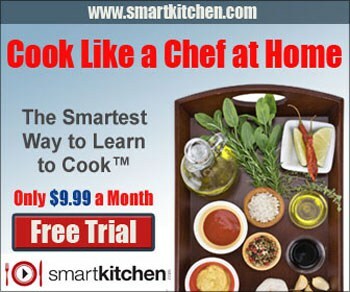 Turn a FAIL into a WIN with this great course from Smart Kitchen that will teach you everything you need to know to cook like a chef! Learn to cook like an Iron Chef! You’ve found the recipe that you love and are STOKED to try it. With recipe in hand and apron tied snugly around your waist, you walk – cooly, calmly and confidently – into that kitchen. Once all of your ingredients have been mixed together and are baking in the oven, you sit back on the counter – flour on your face, whisk in your hand – and congratulate yourself on a job well done. Job well done, Hadley. Job well done. And then the timer goes off. It’s done! It must be so good and it smells delicious! Let’s take it out! And….what the heck is that?! WHAT THE HECK IS THAT?! But, cooking fails happen, folks! So instead of beating our heads against the wall and cursing at the pile of mush that should have been a French toast casserole, let’s laugh at them and learn from them instead. 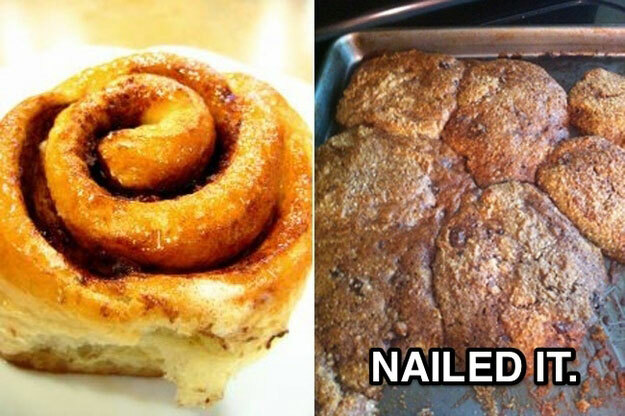 These cooking fails will remind you that everyone is human and that the best part of cooking is trying it over…and over…and over again. Sure, that’s what it’s supposed to look like. There’s always going to be that one that got away. In their defense…we got nothing. Maybe this version has less calories? We don’t even know where to begin with these cupcakes. Oh, look! A blue toad cookie! 4. It’s Called Art, Mom! GAWD! Maybe just a little more next time? This is just part of the creative process. *sigh* No one understands me. You were supposed to use chocolate, not refried black beans! Whatever you do, do NOT put that in your mouth! 6. Spaghetti Squash Isn’t Supposed To Look Like That? Whatever, spaghetti squash. Find your own way home. We never liked you anyway, spaghetti squash! Cake balls are squashed and oval, right? This will make a great gift! If we had a nickel for every time our expectations exceeded reality. Hey, a little more cushion never hurt anyone. 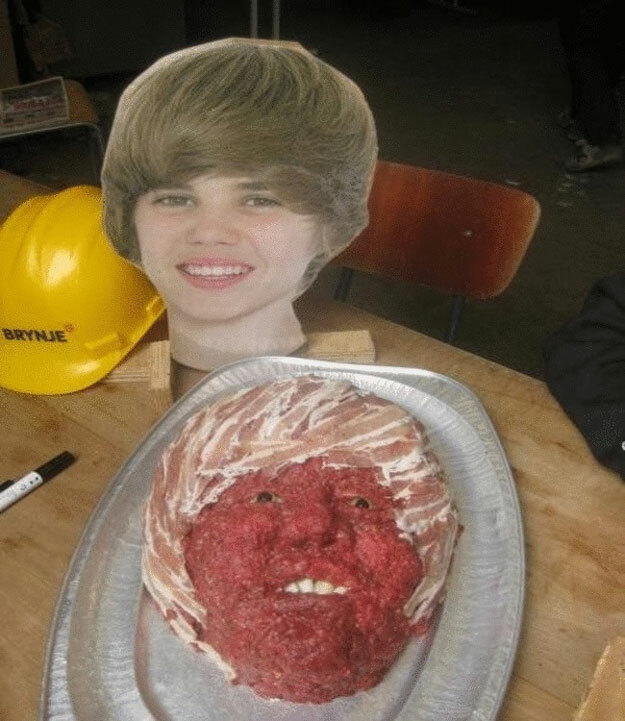 Justin Bieber…from HELL! And then you have that ground beef cake. 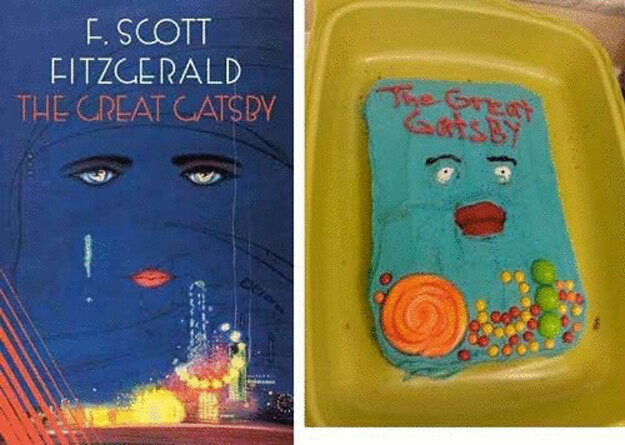 This isn’t more of a fail, so much as its a WIN! Well, they stayed true to the theme: abstract. Frankly, I’m a little offended. Watch where you put that thing. 13. Someone Call A Priest! Whatever that was, it was not of this world. I like my fries crispy. Hey, if there are black hamburgers in Japan, why not black fries? Answer US! We can no longer call pasta fool-proof. You may have won the battle, but you did not win the war! 17. There Was Supposed To Be Chocolate In That, Right? This one is hard to look at. This looks like a lot of things, but salted chocolate pretzels isn’t one of them. There you have it, folks! 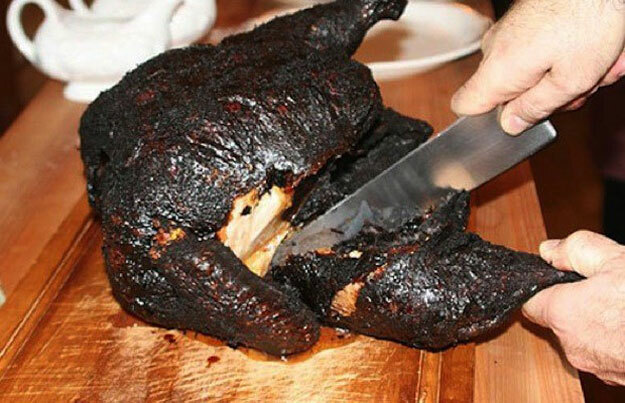 18 Cooking Fails that will make you feel like an Iron Chef! If at first you don’t succeed, take a picture then try, try again! Do you have a major cooking fail? Send us a picture via [email protected] or tell us about it in the Comments section below! If you’re looking for recipes that are basically fool-proof, check out 19 Egg Dishes That Are Easy To Whip Together and Amazing Ground Beef Dishes For Your Next Dinner! That’s all, folks! If you enjoyed our 18 Scrumptious Monkey Bread Recipes, let us know in the Comments section below. We love hearing your feedback and comments; we also love sharing, so if you have an amazing monkey bread recipe, we’d love to hear about it and try it for ourselves! HomemadeRecipes.com was founded to create an online community where foodies, epicureans and chefs can share recipes and learn new ones! We need your help, however, in creating this community where you can come, share and learn. If you love to cook, love food or have some great recipes and ideas you’d like to share with us, shoot us an email and make sure to stay in touch on Facebook, Twitter, and Pinterest! We’re always looking for contributors and want to hear from you. Do you have Instagram? Don’t forget to follow @HomemadeRecipesOfficial.